Those of you who are moms know, the motherhood journey is filled with challenges and changes. Boy are there changes. And as a result of these changes…changes in availability, time, priorities, likes and dislikes…many of us lose friends along the way. Old friends often can’t relate to motherhood and the changes it brings. But that doesn’t have to mean the end of your social life! Making friends as a mom is not as hard as it may seem and is SO very rewarding. My motherhood journey not only gave me my beautiful children, but it also gave me the truest and most loyal friends you could ever ask for. So, I feel like some of the changes in the friendship between some of my old friends and me started when I got married. Most of my friends at the time weren’t married, and it slowly became obvious that a lot of the things I was going through didn’t resonate with them. I was no longer living the single life and it set me apart. Deep down I knew sooner or later that we’d drift apart. I grieved the loss of those friendships and had a bit of a hard time accepting that change. I didn’t know how to deal with the lack of understanding from some of my friends, a lack of understanding that my reality now was a bit different. It’s okay to mourn the loss of old friends. And don’t worry, it’s definitely possible that you may reconnect somewhere down the line when your lives become similar again! The messages came in less and less, and so did the phone calls…then, I found out I was pregnant and happily shared the news with them. I might have gotten a ‘’congratulations’’ here or there. You see, they just were not there yet in life. And from there the phone calls and messages became almost nonexistent. My old friends could relate to me even less than before. But, as sad as it is to lose friends, the story certainly does not end there. As I was losing the old, in came the new…amazing women I was fortunate enough to cross paths with who were living the same journey as me. They liked to go to the gym, enjoyed a glass (or a bottle) of wine, and were as well-versed in sarcasm as me. It seriously was ‘’friendship-love at first sight’’! These ladies heard details of my pregnant bodily functions that I wouldn’t dare share with anyone else. They watched me cry ugly tears because I was struggling with motherhood. They held me at my lowest and celebrated me at my highest. Making friends as a mom is sometimes as easy as bonding over a baby or child the same age. And there is something special about the mom friends you make… they meet you at your most vulnerable stage, and yet they are still there showing up to check on you every damn day! I had a friend cook me 12 ( YES! TWELVE) lasagnas and leave it at my house when I had Nico because she knew what I needed was not a visit…I needed help! I had another friend cook me a vegan chili that could feed a family of 10, and she just dropped it by my door and texted me to let me know I had fresh food waiting for me. Only another mom friend would know I needed that! Once, another dear friend dropped my fave ice cream by my door on her way back from the gym because she knew I had a rough day with the kids… and then gave me a call to let me know about the ice cream that was there. I had another friend who came to visit me when Chloe was born. She brought the cake, the coffee, did my dishes, offered to do my laundry and then left. Again, only mom friends would know what you need, when you need it to such an accurate degree! I have a way to communicate with these friends that goes way beyond the words we say to each other… they know when I am struggling and I know when they are struggling too. And, we know that around each other we don’t have to ‘’pretend’’ to have it together, because they are the type of friends who know every little crack in you and still are there for you no matter what. 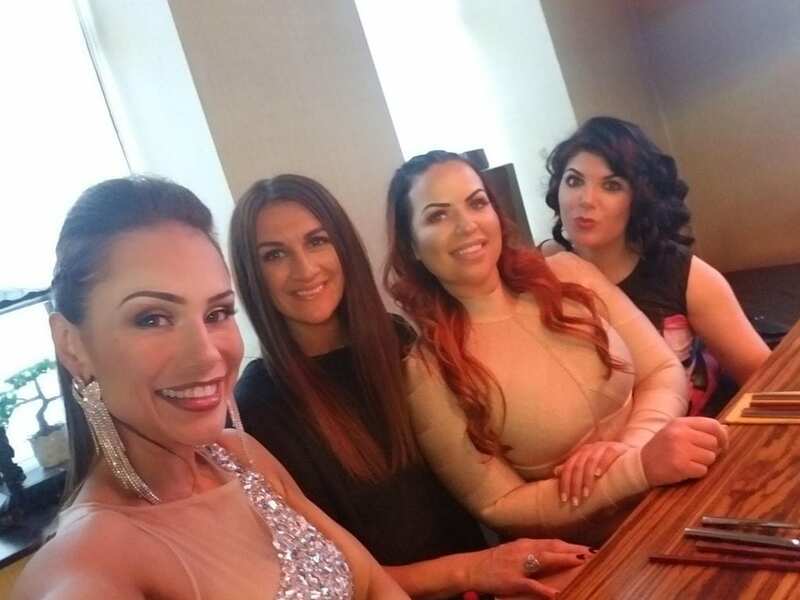 I am grateful that I have gotten to experience motherhood with these incredible ladies, and although we haven’t known each other for ‘’life’’… they will ALWAYS have a special place in my heart. Caloric Deficit Explained – Do you have to eat every 3 hours to lose weight? What is your next move for a Stronger and Healthier you? Training during pregnancy is a subject I find very important to discuss and bring awareness to as there is still a big stigma surrounding training and pregnancy. I have made it my mission to educate and help women around the world feel amazing and proud with their baby bumps, while living the fit and healthy lifestyle them and their babies deserve! 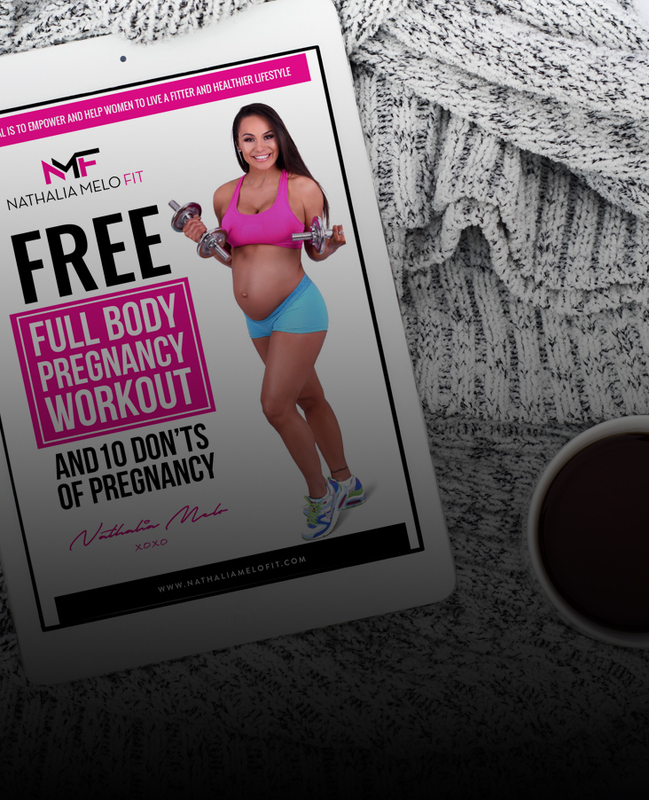 Thanks so much for signing up to get your FREE ‘’Full Body Pregnancy Workout and 10 Exercises to Avoid when Expecting’’. Take all the guesswork out of your postnatal journey! Download this FREE (and incredibly informative!) cheat sheet. 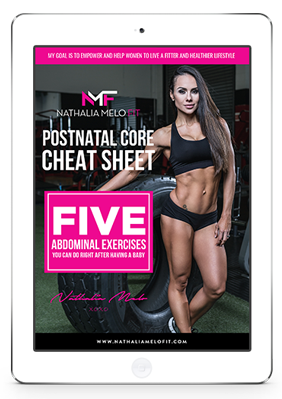 It can be extremely challenging and confusing to try to guess which core exercises are safe after having a baby, but the ‘’Postnatal Core Cheat Sheet: 5 Abdominal Exercises you can do right after having a baby’’ will give you all the information and confidence you need to start reshaping your core.